Have you ever wanted a pattern by Tilly and the Buttons or Sew Over It, but thought that they were about 15% too expensive? Well, now is your chance to buy one. TrixieLixie need to move some stock and you need a discount. 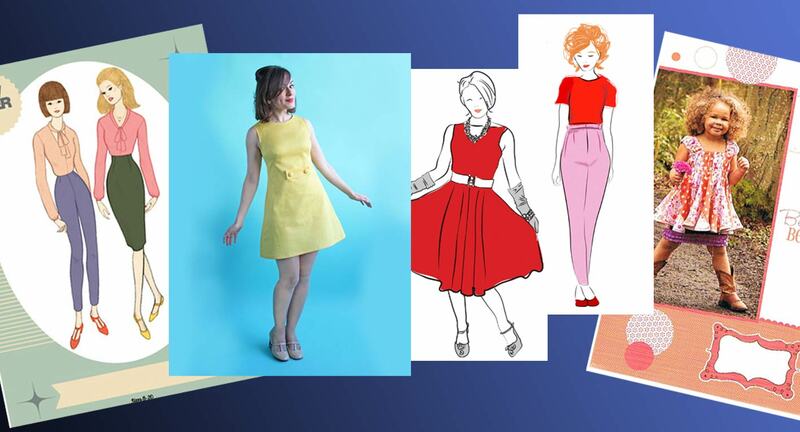 It’s a marriage made in heaven…..
All the sale patterns are here at the TrixieLixie website. 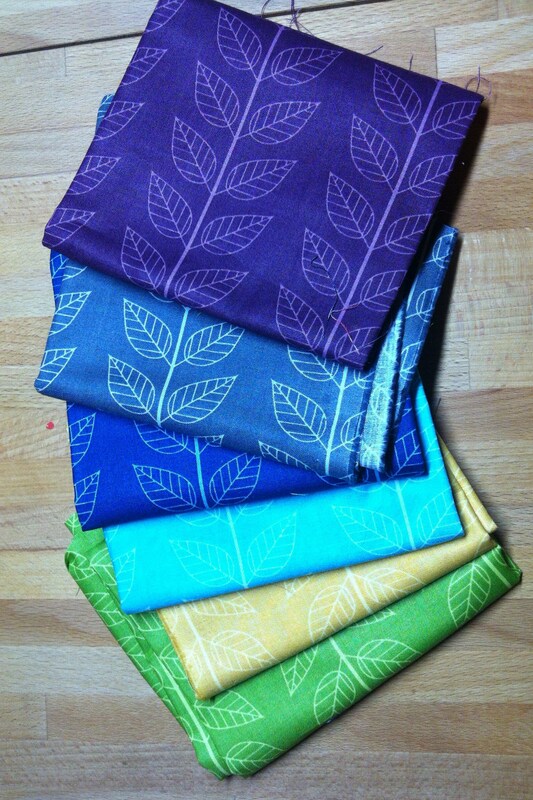 I have been a bit quiet on the blogging front but I have still been sewing away although I do find it hard to spend time in the house at my sewing machine when the sun is shining. I really like to sit in the sun and read a good book in the summer, I love to look at sewing books and plan what I am going make, I always end up with an enormous list. At the beginning of the month it was my gorgeous daughters birthday and I wanted to make her a summery dress the Sewaholic Saltspring is perfect! Doesn’t she looks lovely in it! 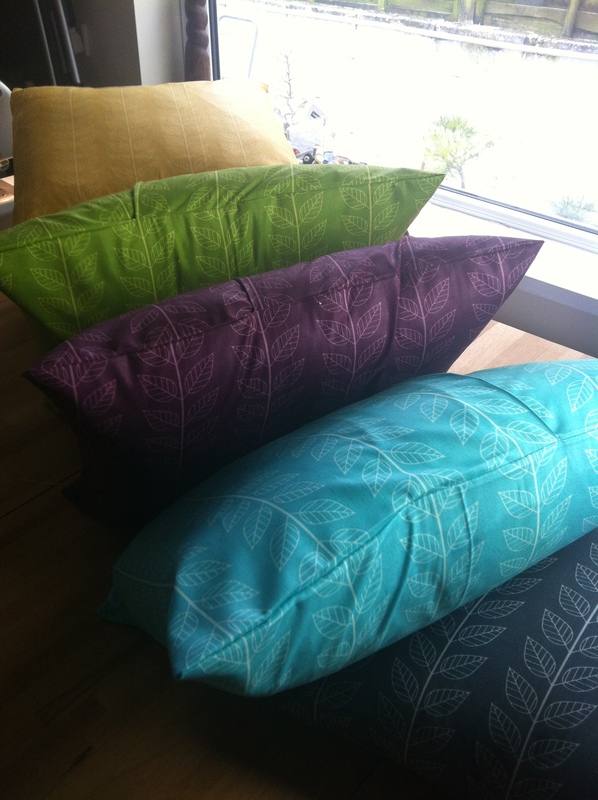 I used some of our delicate and floaty voile fabric Field Study Sinister Swarm, a strange name for such beautiful fabric! 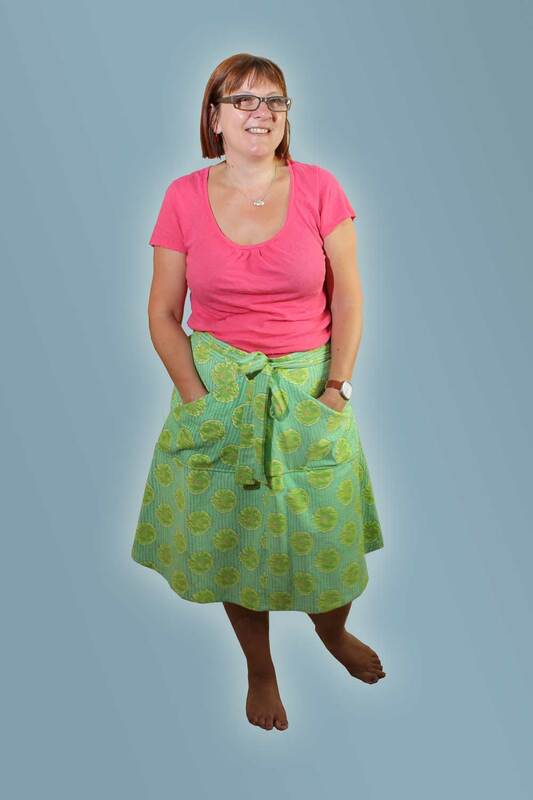 Its a wrap-around skirt, so very easy to make, no zips or buttons! 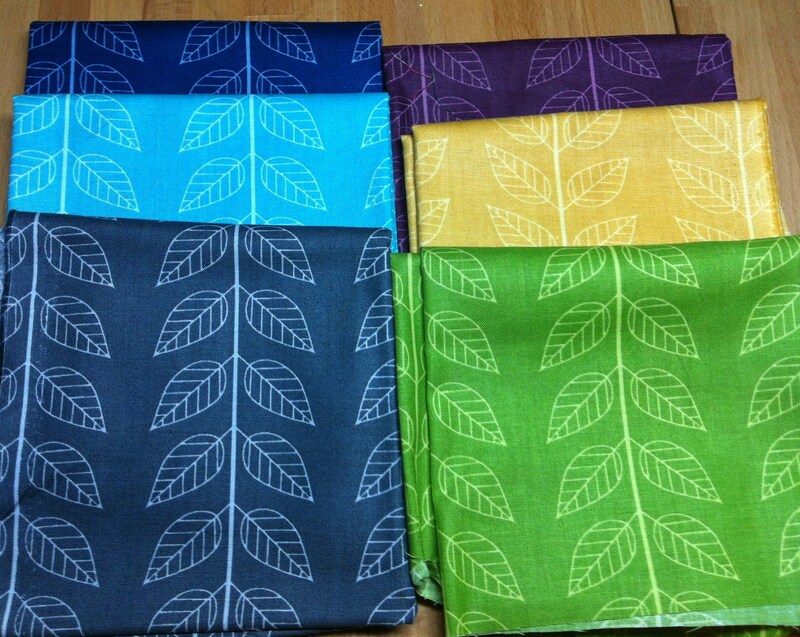 The patterns are lovely and the instructions are clear and easy to follow. We have also had the mens sewing patterns from Thread Theory a very exciting addition to our range, I want to have a go at making the Comox trunks. I love this picture from their blog, I don’t think I will get any of the boys in my family to model in their underwear for me! 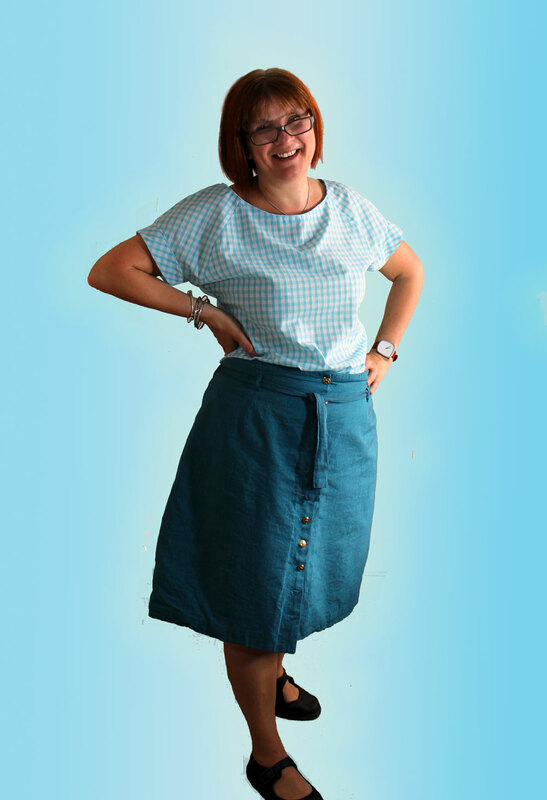 On day 10 I wore a Colette Mabel skirt, on the pattern she says you can make it in an hour, its true! I knocked this one up that morning! And the top I am wearing is the Cake Cabarita riff which was also surprisingly easy to make, the fabrics are Grey jersey heavy weight knit and a gorgeous Red Cotton jersey that is T-shirt weight. 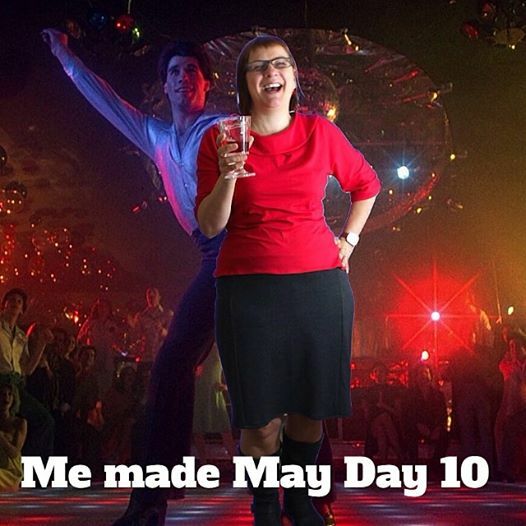 I am living a daydream and partying with one of my heart throbs – John Travolta! 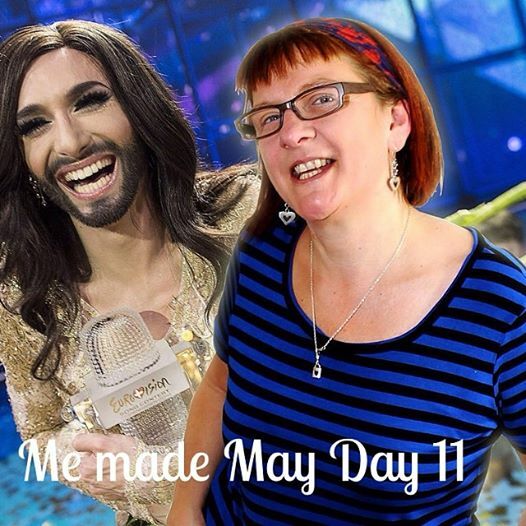 I celebrated Conchita’s win with her on day 11 in one of my Sewaolic Renfrew tops, I am also wearing a Brigitte Scarf from Tilly’s new book ‘Love at first stitch’, if you haven’t seen this book yet, take a look, I love and want to make EVERYTHING! 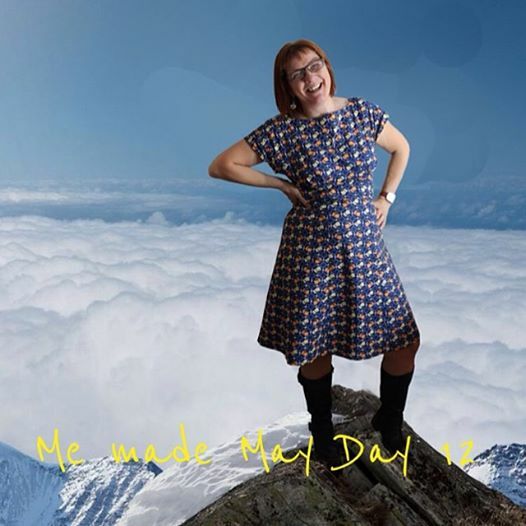 I fell in love with this Riley Blake fabric as soon as it came in to stock and it is perfect as a By Hand London Anna dress, its from the new Vintage Happy range, and hey! I’m on a mountain, how did that happen? 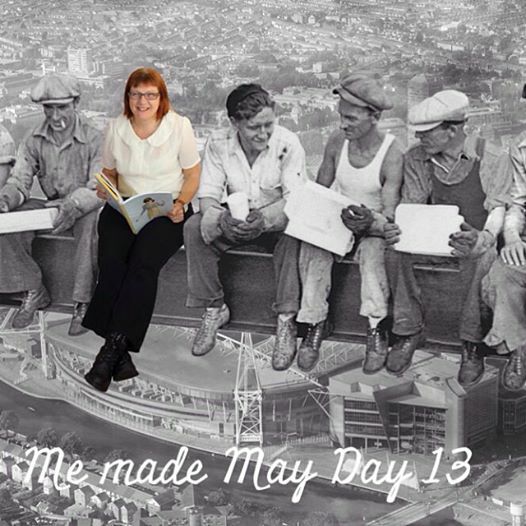 I was back into work clothes on day 13 so my trusty Sewaholic Thurlows and a Colette Violet blouse in ivory georgette, this is available to buy as a complete kit from the website. Doing a spot of light reading during my lunch break with my work mates! 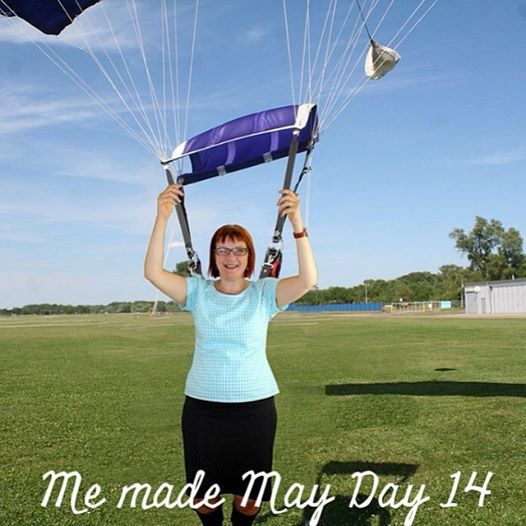 Day 14 and I parachuted back in wearing my Colette Mabel skirt and Gorgeous gingham Sewaholic Belcarra blouse. 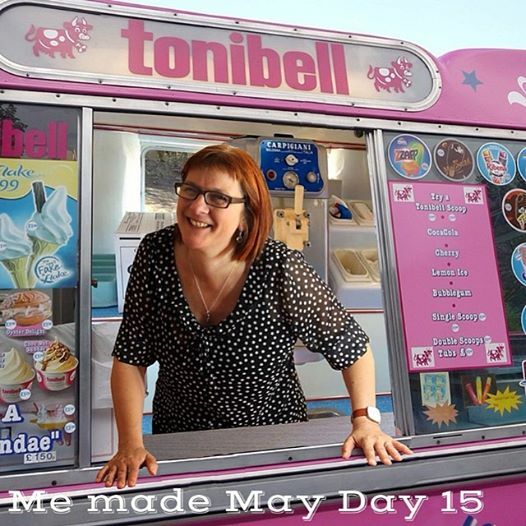 Day 15 brought glorious sunshine to Wales so I was happy to find myself in an icecream van today, I am wearing a Colette Jasmine Blouse which is made using a gorgeous black spotty crepe fabric, again this is available as a complete kit on the website. Day 15 was a spotty theme so I wore my glam By Hand Charlotte pencil skirt, I love this skirt as the fabric is stretchy so it is really comfortable, yet glamourous. Its a cotton mix fabric with a broderie anglaise style detail and red spots, lush! My top is the Cake Cabarita riff. 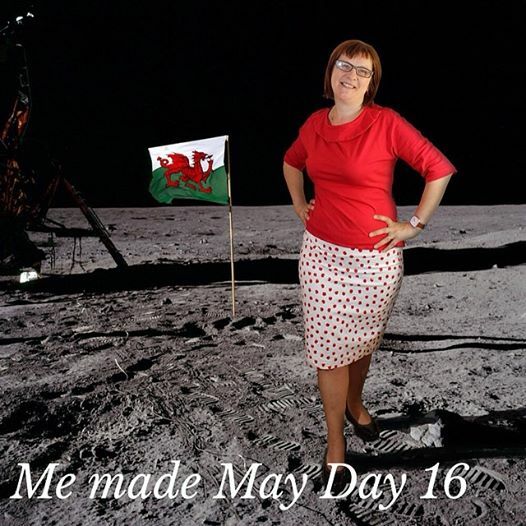 And I am back ot top of the World again, only this time I have made it to the moon!! 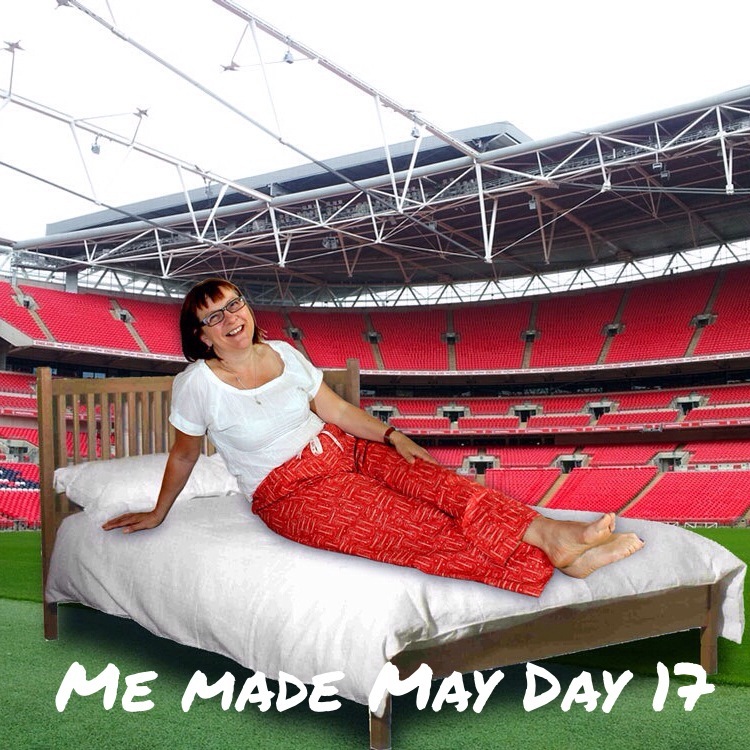 Well it’s Saturday so I get to lounge around in my Sewaholic Tofino trousers, its also cup final day so I have ended up in Wembley! The Tofino’s are very comfy and I have used some of the Moda Honky Tonk fabric to make these, I am also wearing another Belcarra blouse! 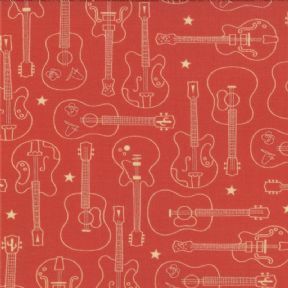 Here’s a close up of the Honky Tonk fabric as you can’t quite make it out in the photo. Well, that was week 2, I am busy sewing a couple more new outfits for week 3 so watch this space. When the brand new Sewaholic Belcarra blouse patterns arrived this week I couldn’t wait to have a go at making one, it was so EASY to make that I immediately made another one! Two blouses in one day, I think this pattern is going to be very useful, especailly if, like me, you make lots of skirts and never have any tops to wear them with. 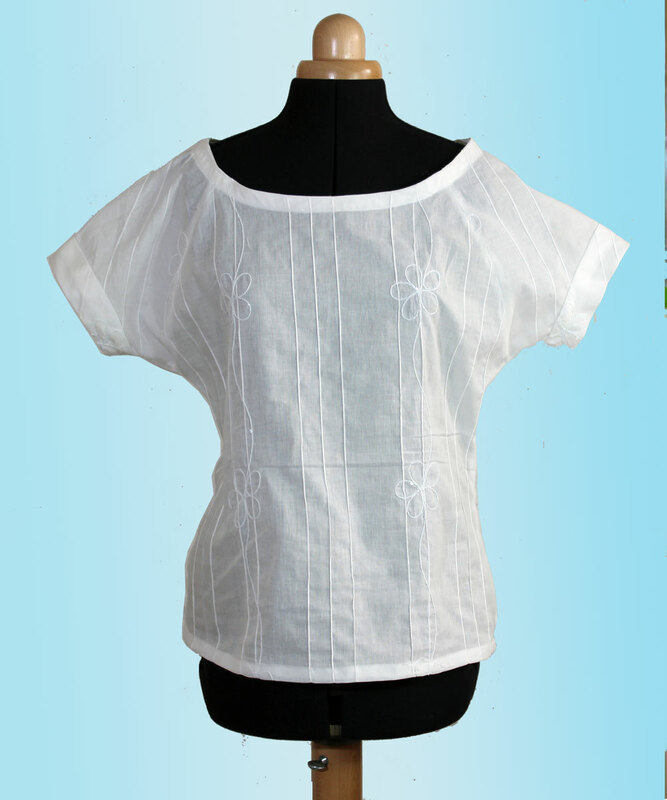 The first one is made using some lovely embroidered and sequinned white cotton lawn from our dressmaking fabrics range. 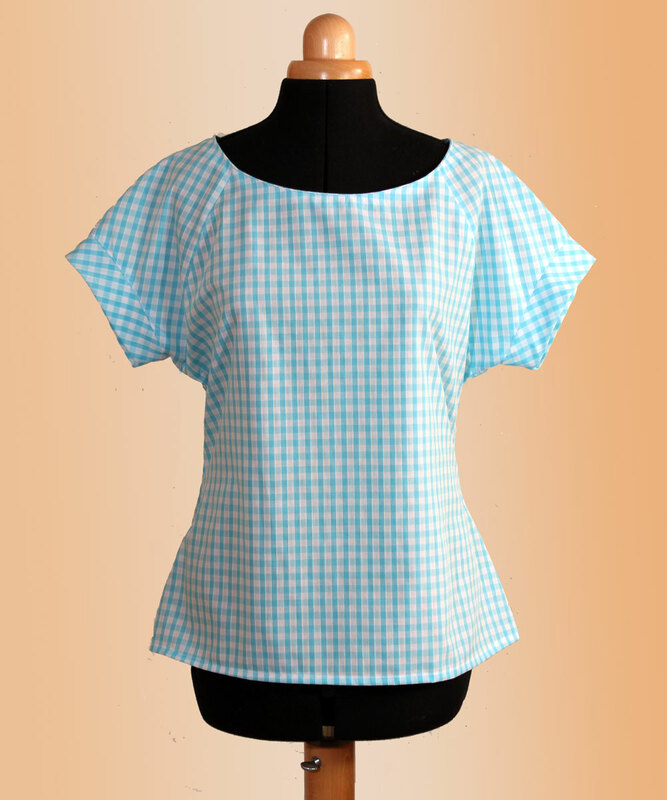 My next one is made from some of our Gorgeous Gingham which I think is really retro style! 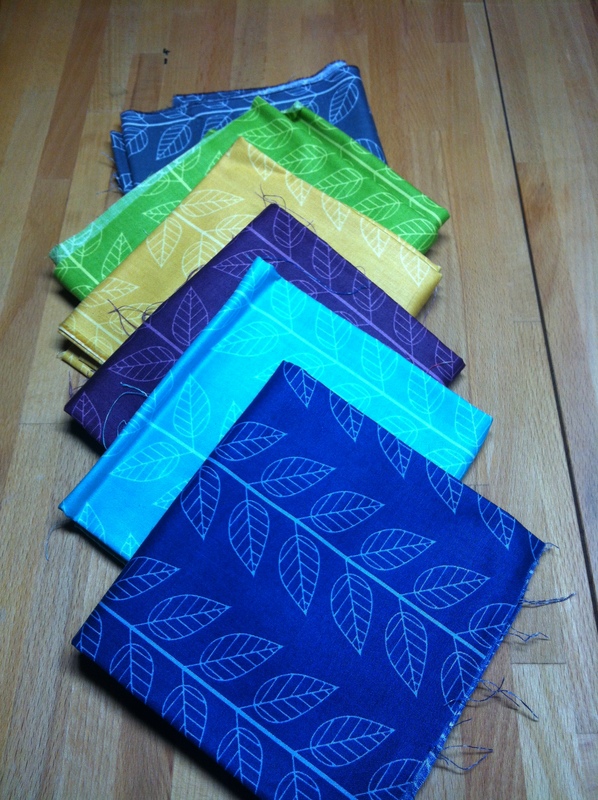 I just need to make a few more Belcarra’s and then I will be ready for Me-Made-May! Here are the links to the Flickr group and the Pinterest board. 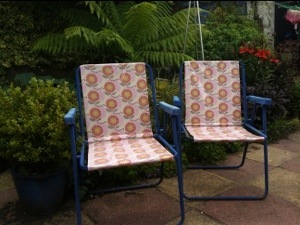 It was my day off yesterday and the sun was shining so I thought I would make some new seats for my old garden chairs as the old ones were all ripped. 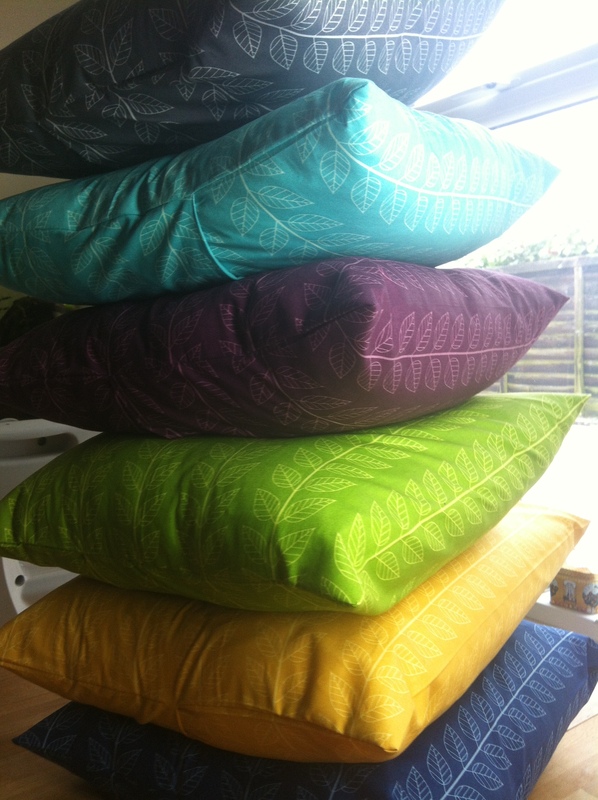 I used some pretty oil cloth fabric called Field Study from our Freespirit range. The colour looks great on the old blue chair frames! Unfortunately in typical British Summer style no soon as I had finished them it started to rain and didn’t stop all afternoon! !